Rabbi Michael Balinsky '74, Executive Vice President of the Chicago Board of Rabbis, an organization representing over 200 members of the Chicago rabbinate. Prof. Nathaniel Berman '76 After working as an international law professor for 20 years (Northeastern Law School and Brooklyn Law School), he is starting a new job this year as the "Rahel Varnhagen Professor of International Affairs, Law, and Modern Culture" at the Watson Institute for International Studies at Brown University. He is also currently working on a doctorate at University College London in the Department of Hebrew and Jewish Studies with a dissertation on the Zohar. He published a book last year (in French), entitled, "Passions et Ambivalences: Le Nationalisme, le Colonialisme et le Droit International." But, he says, his real claim to fame is that he was a classmate of Rav Danny Wolf in elementary school (Yeshiva Dov Revel in Forest Hills, NY) and his roommate for one year at Gush! 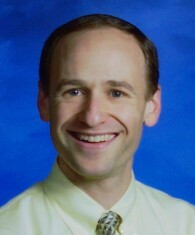 Rabbi Shalom Z. Berger, Ed.D. '77 has been named director of the Jim Joseph Foundation Fellowship program. A partnership between the Jim Joseph Foundation and Bar-Ilan University's Lookstein Center, the program seeks to identify, train and empower leading educators in both formal and informal Jewish education settings to develop and lead virtual Communities of Practice in their professional fields. Dr. Alan Jotkowitz '82 has been named Director of the Lord Rabbi Immanuel Jakobovits Center for Jewish Medical Ethics at Ben-Gurion University, Beer-Sheva. Avi Shmidman '92 received his PhD (with highest distinction) from Bar-Ilan University. His dissertation was entitled: The Poetic Versions of the Grace after Meals from the Cairo Genizah. At the doctoral commencement, Avi delivered the address on behalf of the students; his remarks can be found online at: http://sites.google.com/site/shmidman/Home/CommencementAddress.pdf. Upon receiving his degree Avi was granted a tenure-track position at Bar-Ilan University in the Department of the Literature of the Jewish People, sponsored by the Alon Fellowship of the Israeli Council for Higher Education. Rabbi Micah Gimpel '92 While part of the Holliswood Community Kollel, he started a program http://www.shemayisrael.com/smicha/smicha.htm with the intent of leading a chaburah of people in a halacha program that would culminate in their being tested for semicha. Recently, after a fairly intensive weekend of informal oral exams and a final written exam, Michah graduated and received semicha from the program, which afforded him the flexibility to learn at his own pace and without disrupting his professional pursuits. "On a personal level, it has marked a milestone and accomplishment but it does not portend my entering the chinuch world on a formal level. I expect to be as involved in giving shiurim in the community as I was before (which has been thankfully fairly frequently). So I am still working in finance and we are trying to work our way back to Israel," he says. Richard Hidary '93 Assistant Professor of Judaic Studies at Yeshiva University, Stern College for Women. Rabbi Aytan Kadden '96 PC Mazal Tov on receiving Israel's prestigious Teacher of the Year Award. Aytan is the Rabbi and Jewish Studies Coordinator in a Mamlachti-Dati school in Kfar Adumim, with both religious and secular students. The award ceremony took place in the presence of President Shimon Peres and Minister of Education Gideon Saar. The competition was initiated by Yediot Ahronot, in cooperation with Mifal Hapayis and the Histadrut Hamorim. Only five winners were chosen by a special committee from thousands of recommendations which were sent in from throughout the country. Aytan views teaching as a shlichut and way of life. His colleagues praise him as being an initiator, who is dedicated and modest, and successfully transforms Jewish studies into a meaningful subject for all his students. His vision is for students to assume responsibility and to act according to Jewish values, also if they are not shomrei masoret. "I would like these values to guide them in both their thoughts and actions on behalf of society," he says. Through his teaching, he has learned to be open and flexible in life and has come to understand that, though there are different types of people who think in different ways, everyone has the power to make a contribution. Abe Mezrich '98 PC would like to tell Gush alumni about TorahParsha.com, a website/e-mail list of his short, poetic pieces on Parshat HaShavuah, updated weekly. Everyone's welcome to visit—he is happy to count Gush alumni among his growing numbers of regular readers. Hillel Zukor '99, completed his PhD in Neuroscience from McGill University and has started medical school at McGill as well. Menachem Freedman '04 first came into contact with Sudanese refugees in Israel while serving his tour of duty as a Machal soldier along with the Yeshivat Har Etzion Machzor 39. This summer he decided to return to Israel in order to volunteer with NGO's working to help the more than 20,000 African refugees that live in Israel today. Sudanese and Eritreans make up the vast majority of these asylum seekers. Moshe Tur-Paz (Machzor 23) is principal of the Shaked School at Sde Eliyah, a regional religious school in the Emek Hama'ayanot area near Beit She'an. The school came in first in the Combat Unit Competition of the IDF and Education Ministry, with 87 per cent of its graduates serving in combat units, commando units and volunteer units for soldiers lacking combat qualifications. "I am proud of this achievement," says Tur-Paz. "My school has a success rate of more than 70 percent on the matriculation exams. It has a rich curriculum, varied and creative course offerings, and a broad range of Jewish studies. Most of our graduates, especially students from the religious kibbutz movement, complete a year of community service before serving their full army service or alternative national service." He adds: "Service in a combat unit isn't just an existential need of the State of Israel. It is also an expression of friendship, love of the land, ambition, leadership, physical and mental stamina and an awareness of collective duty. The Education Ministry should develop, encourage and reward the teaching of values in schools, including volunteerism, compassion, tolerance of the other, development of humanitarian values and creativity as well as contributing to the state even if it means risking one's life." Rabbi Mark Smilowitz '88 completed his 40th episode of online "Classroom Teaching" podcasts, concluding his first season. The podcasts are a project of the Lookstein Center at Bar Ilan University. These podcasts aim to help newer teachers of Judaic Studies cope with the challenges of the classroom, but there is also a lot of material of interest to veteran teachers and administrators. Each episode is a 15 to 20 minute thoughtful reflection on a particular issue teachers grapple with, based on years of experience and study. The second season will include a number of interviews with master teachers who will share some of their secrets. All of the episodes can be downloaded from www.lookstein.org/podcasts . Each new, bi-weekly episode can also be downloaded automatically through a free subscription at the Itunes Store. Mark has been a teacher of limmudei kodesh for 12 years in middle schools, high schools, and post-high school seminaries on both the East and West Coasts of the United States and in Israel. He also has many years of experience mentoring individual teachers in both in the US and Israel, and he lectures in various Hebrew and English speaking educational institutions to teachers and rabbis on the art of teaching. He is currently pursuing an M.Ed. in Jewish Philosophy at Herzog College. He resides in Beit Shemesh with his wife and four children. Avi-Gil Chaitovsky '01, Business Information Analyst II at WellPoint, Inc.
Sammy (Shmuel Tzvi) Steiner ('06-'08), a Junior at YU majoring in English, at his initiative, accompanied a Nefesh B'Nefesh flight to Israel this summer and will write about the aliyah process for the YU Commentator. Gush alumnus Brad Rubin '08 PC was on the flight.